Headbands are a rather varied accessory. Sometimes they are simple and used to tame hair, and other times, they are complex decorations fit for royalty. The Brown Vintage Velvet Headband definitely falls into the latter category. Headbands are a rather varied accessory. Sometimes they are simple and used to tame hair, and other times, they are complex decorations fit for royalty. The Burgundy Vintage Velvet Headband definitely falls into the latter category. Headbands are a rather varied accessory. Sometimes they are simple and used to tame hair, and other times, they are complex decorations fit for royalty. The French Blue Vintage Velvet Headband definitely falls into the latter category. 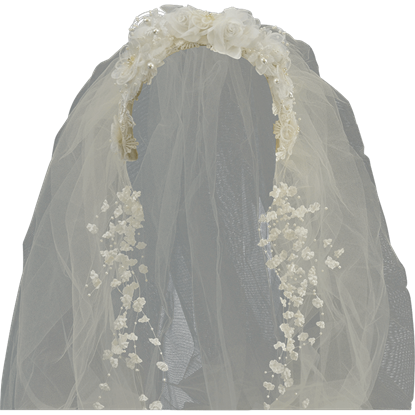 The Ivory Victorian Headband with Long Veil is not your average headband. 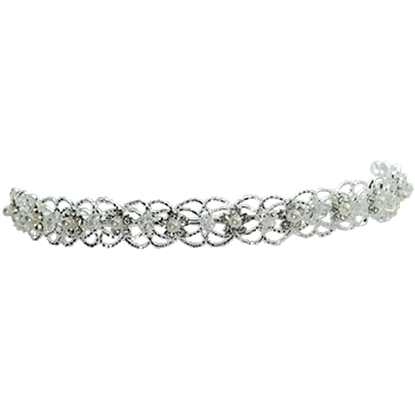 This is a headband designed to suit a bride on her wedding day, although this headband will perform admirably outside this role, given proper planning. 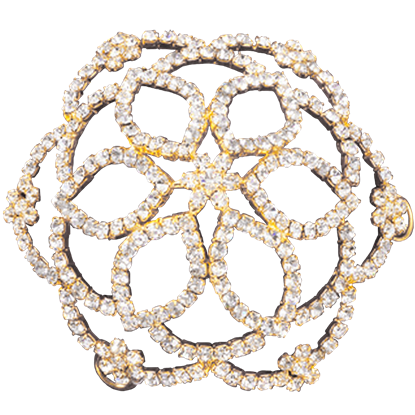 Elegant and dainty, the Rhinestone and Pearl Flower Headband is the perfect accessory for medieval and Renaissance princess, queen, or lady-in-waiting looks. This gorgeous metal headband is accented with rhinestones and pearls. 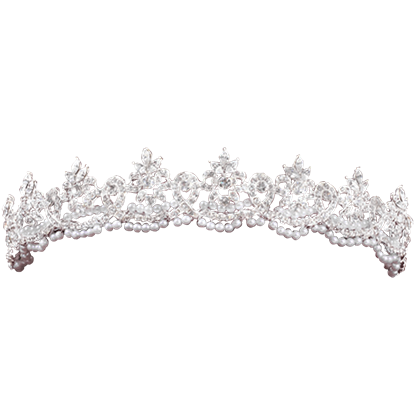 The Rhinestone and Pearl Royal Headband brings a queenly elegance to medieval, Renaissance, and fantasy looks. This beautiful royal headpiece has swirls and low peaks of bright rhinestones combined with loops of white pearls. 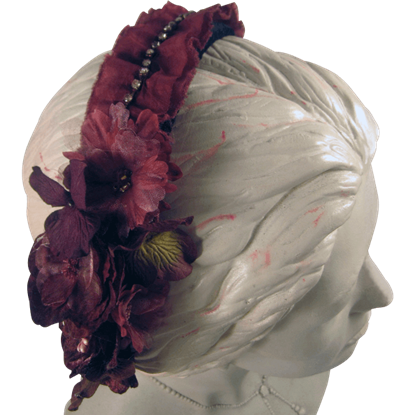 Add something glittering and regal to your next medieval hairstyle with the Rhinestone Flower Petal Hair Bun Cover. 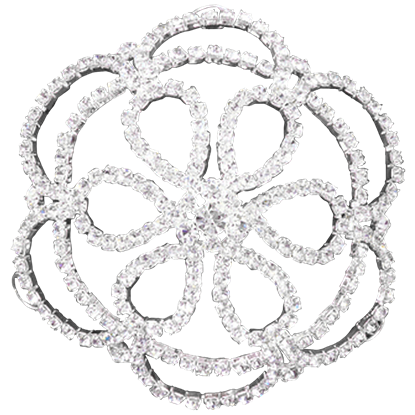 This beautiful womens hair piece is made of a multitude of rhinestones arranged in loops like the petals of a flower. For a look that shines with elegance and romance, wear the Rhinestone Heart Petal Hair Bun Cover over your next medieval hairstyle. 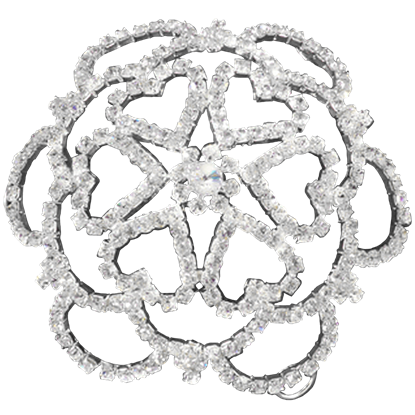 This rhinestone hair accessory features heart-shaped loops around the center of its wire structure. 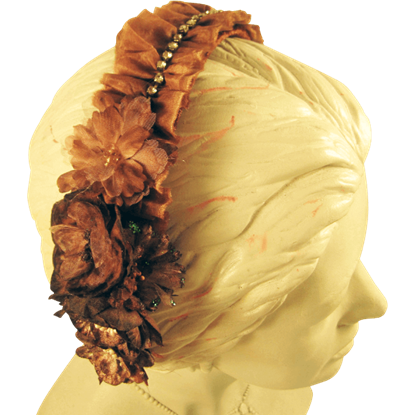 Adorn yourself with the elegance of a flower and the glamour of jewels when you wear the Rhinestone Pointed Petal Hair Bun Cover. 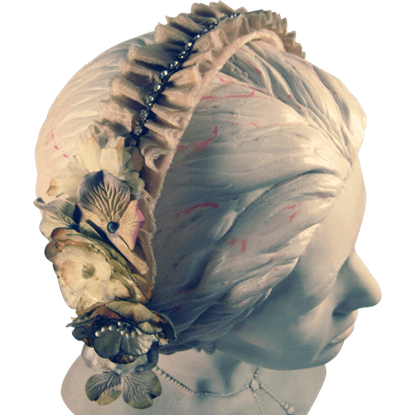 Add a gleam of royal beauty to medieval, Renaissance, and fantasy looks with this hair bun accessory. Headbands are a rather varied accessory. Sometimes they are simple and used to tame hair, and other times, they are complex decorations fit for royalty. The Sage Vintage Velvet Headband definitely falls into the latter category. 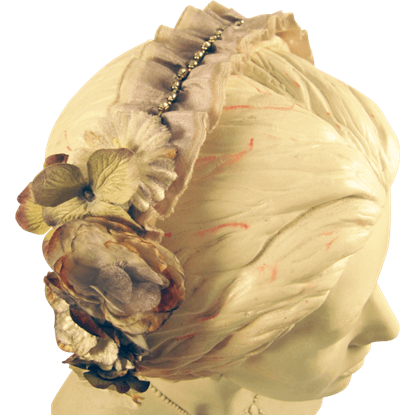 Offering a charming design while helping you keep your hair out of your face, this artisan hair accessory displays a gleaming metal appearance. 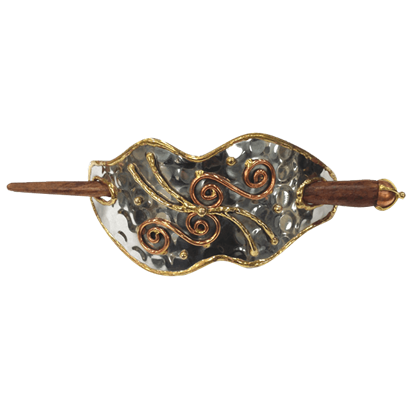 The Scrollwork Stick Barrette affixes to your hair with a slender hair stick. 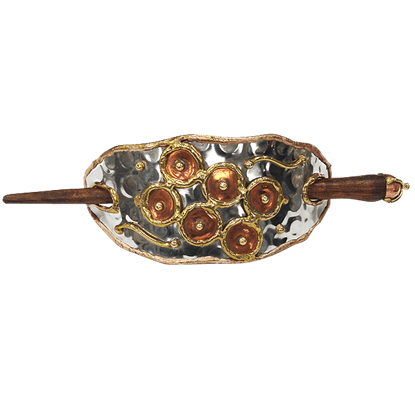 Dress up your favorite outfits with unique hair accessories like this artisan barrette. The Six Circle Stick Barrette features an abstract design that displays six joined circles and wavy lines across the curved band.